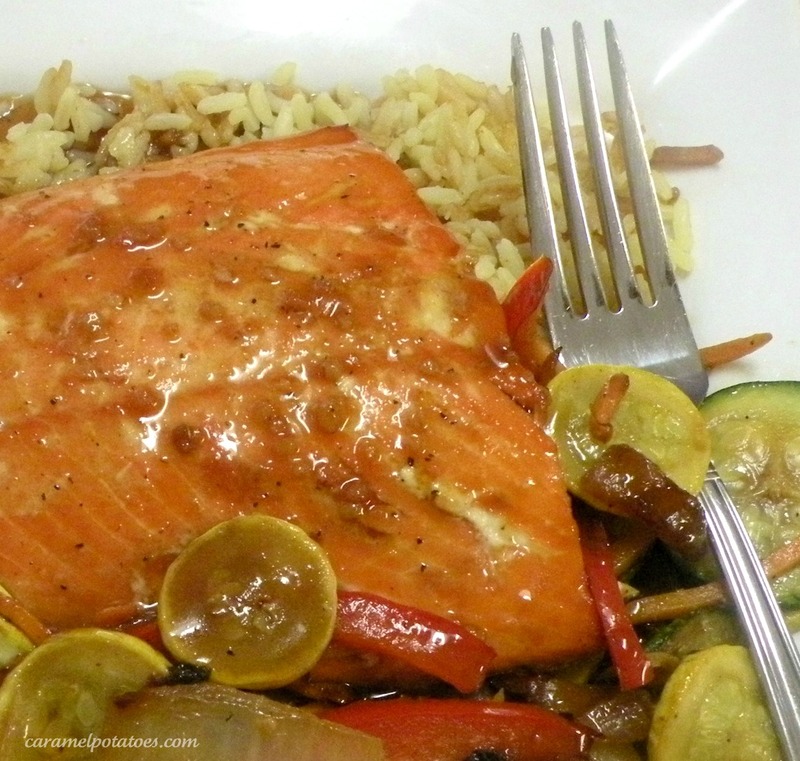 Love salmon? Me too. I love that something so tasty can be so good for you: rich in protein, all kinds of Omega -3 fatty acids, vitamin D, calcium, plus a list of vitamins and minerals. 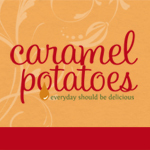 Hard to find a more nutritious food! I also love that this is a Cook Once Eat Twice menu for us (It’s a great feeling knowing that dinners already cooked for the next night 🙂 – Be sure to check out the Panini Recipe at the bottom of the post! Soak cedar planks in warm water for at least 1 hour – 2 hours if you remember to start them in time. Bring all the glaze ingredients to a boil; reduce heat and simmer until the sauce has reduced to a syrupy consistency, about 15 -20 minutes. Preheat grill to medium heat. Place the planks on the grate. They are ready to cook when they start to smoke. 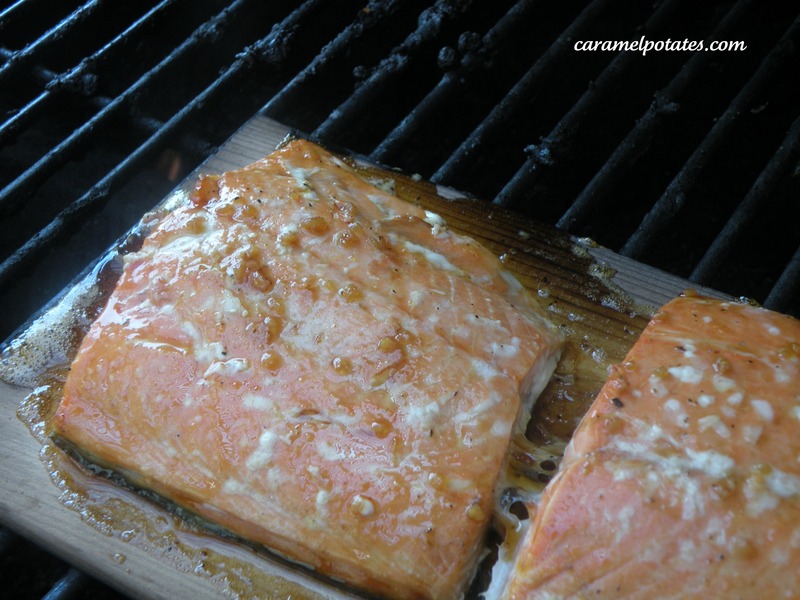 Place the salmon fillets onto the smoking cedar planks (skin side down), close the lid and cook for about 10 minutes. Spoon a small amount of the glaze over the salmon and continue cooking until the fish turns opaque in the center (about 5 minutes). Serve with the remaining glaze. We love to serve this with rice pilaf and caramelized onion veggie mix. **Cook Once Eat Twice: Be sure to cook enough for leftovers the next night. 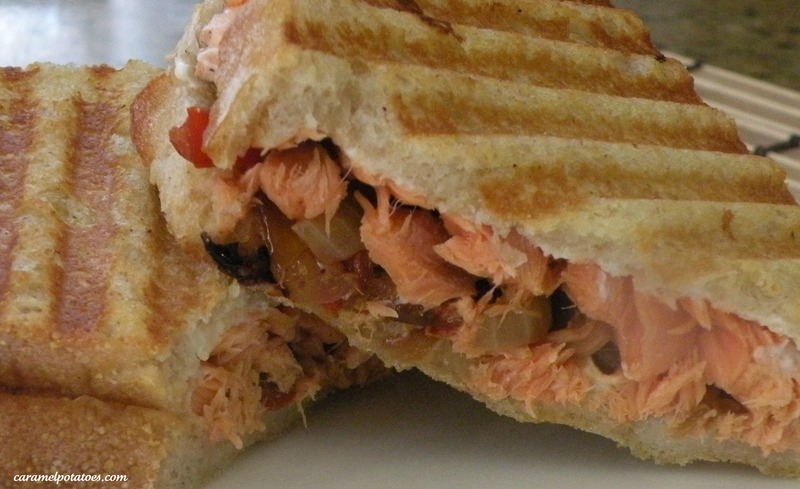 This makes the best panini sandwiches: Spread a little cream cheese on your bread, add the salmon and leftover veggie mix, top with a little of the glaze and toast – serve with extra glaze for dipping. – YUM. Your blog is really unique. Thanks for that.